You are here: Home / Cabin Crew Hiring / PHILIPPINE AIRLINES (FEMALE & MALE) CABIN CREW HIRING! 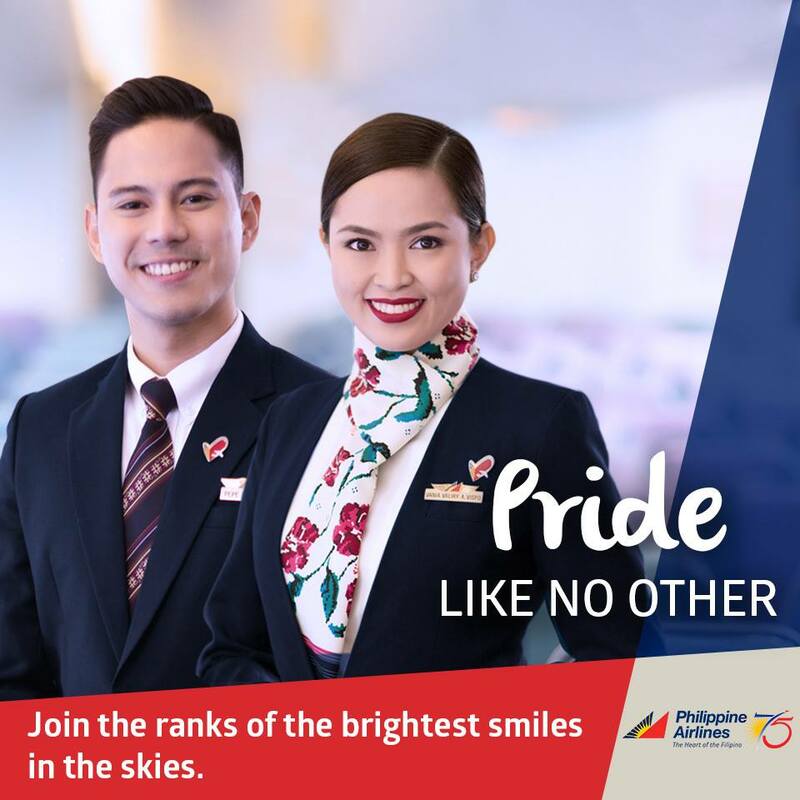 PHILIPPINE AIRLINES (FEMALE & MALE) CABIN CREW HIRING! Are you looking forward to have a career in the airline industry? Then get ready with your resume friends as Philippine Airlines is currently looking for Female and Male Cabin Crew positions. The initial assessment will be conducted in Manila, Cebu, Puerto Princesa, Iloilo and Bicol. If you think you have these traits: mapagmalasakit, matulungin, masipag, matiyaga and masayahin. Enjoy a rewarding experience traveling to far-off places. Finds fulfillment in helping other people, making them feel special and well cared for. Possess a sparkling personality that can inspire, impress and attract. What are you waiting for? Apply now and be part of the brightest smiles in the skies! Please note that this is an online hiring process, thus this is a hassle-free for everyone who wish to be part of the company. All you need to do is to upload your updated resume and submit here! Last Immediate Superior and Contact no. Hi, both links given redirects to a page that says “You are unauthorized to access this page through the link you clicked”. Is there an alternative link? I want to apply “? How to apply to your company “? Hi. I’d like to ask how to resched an impact interview. i missed mine last november. i tried resubmitting my application but it says already exists. How to apply ? I’m interested. i have sent my application and i cant seem to access. I wanted to check if my application went through. Thank you so much . Hi! Good day.. How can I apply..? Im interested..